Total Reading Time: 5 minutes. I want to discuss this idea of emotional intelligence. This idea of increasing your self-knowledge and your self-awareness. At this stage we all know the importance of emotional intelligence. 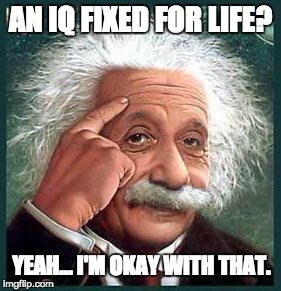 In fact, we know now based on the science of it that your IQ is pretty much fixed. By the time you’re done being an adolescent, that IQ that you have is mostly permanent. What we do know though is that your emotional intelligence (EQ) is malleable. It can change, it can grow, it can increase, whereas your IQ is quite fixed. What researchers in this area of emotional intelligence have found is that your mindset, your level of emotional intelligence is more likely to predict your success than your IQ. You can have an extremely high IQ but that doesn’t necessarily guarantee success. By success they look at things like the amount of money that you make, the relationships that you have, your overall level of fulfillment and happiness, so on and so forth. Everybody measures success differently, that’s fine. What we do know is that when you open that door to increasing your self-knowledge, it’s actually quite fascinating. One of the things I’ve studied and worked on is Carl Jung the Swiss psychiatrist, his original theories around your cognitive functions. He broke out the personality into these sixteen different types (more on each type here). It was actually quite brilliant because he nailed it better than anybody ever had before and he spent a tremendous amount of time musing on these various ideas of your cognitive functions and the order in which they are. That might be way further than you care to go but what’s important is that there are a series of questions you can ask people to just even begin to increase your self-knowledge. By doing so you can be more successful, you can be more fulfilled, you can know your unique advantage. With just the first question alone you could see a radical change in the way you approach your career and the way you approach everything you do in your work because it will help you identify your unique abilities, your unique advantage. The way you go about doing this is you want to identify seven different people of varying distances to you. It might be your coworker, your family member, brother or sister, husband, wife, girlfriend, boyfriend, friend of a friend, maybe someone you don’t know that well. Seven different people. I challenge you to do this exercise by the way, and you’ll see the power of it. Even if you only ask three people these three questions you’ll see the power of it. Find different types of people, not just people you’re super comfortable with, but people you think you could really learn from. What is something that I do better than most people? Why is this important? By getting the answer to this question you’re going to be able to begin to identify your unique ability, your unique genius, and your talent. Something that you do better than most people means you’re above average in this area and most likely you’re either not aware of it, or if you are not appreciating the power you have with that ability. If you were to just double down and invest even more into mastering that skill, you would become unstoppable at that one thing and all it takes in life is being really good at one thing to get everything that you want. That’s the path to mastery. This question is going to help you get there. That’s question number one. What is a habit that I may not be aware of? Generally this happens with things that are annoying and that we don’t like about somebody and we wish we could tell them. Chances are, the person that is most aware of that habit is themselves. If we were to tell that person what to do, it almost never matters to them. It almost never clicks. They almost never make a change. We ourselves have to want to make a change, right? And you’re probably aware of it and you’re going to hear it. Such as you biting your nails or you’re always late or you talk over people or whatever it may be. It doesn’t have to be negative. It might be a positive thing. It might be a positive habit, but by being aware of it we can either decide, this is useful or I’m going to get rid of this habit. And that’s a beautiful thing to begin to increase your self-knowledge. Finally, question number three that you need to ask at least three people, if not seven people on this challenge, and I challenge you to do this. How would you describe me to a friend of yours? This is actually a really fun one because we don’t generally have conversations like this with people, at least most people don’t. You’re going to hear some things about yourself that I think you’re really going to appreciate and like. That person is going to open up to you and tell you things about yourself that will be great to hear. You’ll begin to identify more of the things that make you special and unique, and begin to really understand how you’re branded. This is the key, especially for entrepreneurs, solopreneurs, people with their own companies, executives, CEOs. The way people describe you or your brand or your company is critical because if we don’t learn to describe ourselves and brand ourselves, someone is going to do it for you. People are going to do it for you. That’s why this is also really critical. As an individual it gives you insight into who you really are. That is all. Those are the three questions. Make sure you do this challenge, and let me know how it goes because I guarantee you if you just ask these questions and you open yourself up to people, and you allow yourself to receive this information, you will be opening a door that is absolutely awesome into increasing your self-knowledge. There is a whole host of benefits to that.